Two of the most popular essential oils used in aromatherapy, lavender oil, and tea tree oil may offer a host of benefits for your body and skin. There's some evidence that lavender oil may help you get a sounder sleep and have less anxiety, for example, while tea tree oil may help with acne and other skin troubles. However, a study suggests that personal care products containing the oils may alter hormone activity. In a study published in the New England Journal of Medicine in 2007, repeated topical use of products containing lavender oil and/or tea tree oil was linked to an increased risk of prepubertal gynecomastia (a rare condition marked by enlarged breast tissue in boys prior to puberty). Before the study was conducted, three otherwise healthy boys (ages four, seven, and 10) were diagnosed with gynecomastia by a pediatric endocrinologist at the University of Colorado at Denver and Health Science Center's School of Medicine. All three boys had used either lavender-scented soap and skin lotions, or shampoos or styling products containing tea tree oil and lavender oil as ingredients. What's more, gynecomastia had either subsided or resolved in all three boys within several months of their discontinuing use of these products. Given these circumstances, it was theorized that lavender oil and tea tree oil acted as endocrine disruptors (i.e., chemicals that interfere with the body’s system of glands and the hormones produced by them). Suspecting that lavender oil and tea tree oil may have hormonal effects, a group of researchers at the National Institute of Environmental Health Sciences conducted a series of experiments on human cells. These tests demonstrated that lavender oil and tea tree oils may mimic the action of estrogen (a hormone known to promote the growth of breast tissue) as well as inhibit the activity of androgen (a hormone known to hinder breast-tissue growth). When combined, the researchers noted, lavender oil and tea tree oil have effects that make them "somewhat unique as endocrine disruptors." Although further research is needed to confirm these findings, the study's authors stated that people with gynecomastia should consider reducing their use of products containing lavender and/or tea tree oils. The authors also noted that use of such oils does not appear to have any long-term effects on hormonal levels. Studies evaluating the hormonal effects of lavender oil and tea tree oil have yielded mixed results. In a preliminary study published in the International Journal of Toxicology in 2013, for instance, tests on rats indicated that lavender oil does not have estrogen-like activity. On the other hand, a report published in the Journal of Pediatric Endocrinology & Metabolism in 2015 suggests that lavender may play a role in the development of prepubertal gynecomastia. This report included an analysis of the case reports involving the three boys who presented with prepubertal gynecomastia and used products containing lavender. Could Other Endocrine Disruptors Be Involved? It's possible that other chemicals found in some personal care products may contribute to or, in some cases, be responsible for the products' potential side effects. For example, synthetic chemicals such as phthalates and parabens (two substances sometimes found in personal care products) have each been found to act as endocrine disruptors in scientific studies. Therefore, it's possible that these chemicals may play a role in the hormonal side effects thought to result from the use of certain personal care products (including those containing lavender and tea tree oils). A study published in Journal of Exposure Science and Environmental Epidemiology found that seven of eight personal care products tested were found to have estrogenic or anti-estrogenic activity. One product had tea tree oil (and was found to have anti-estrogenic activity) while other common products such as petroleum jelly were found to have estrogenic activity. 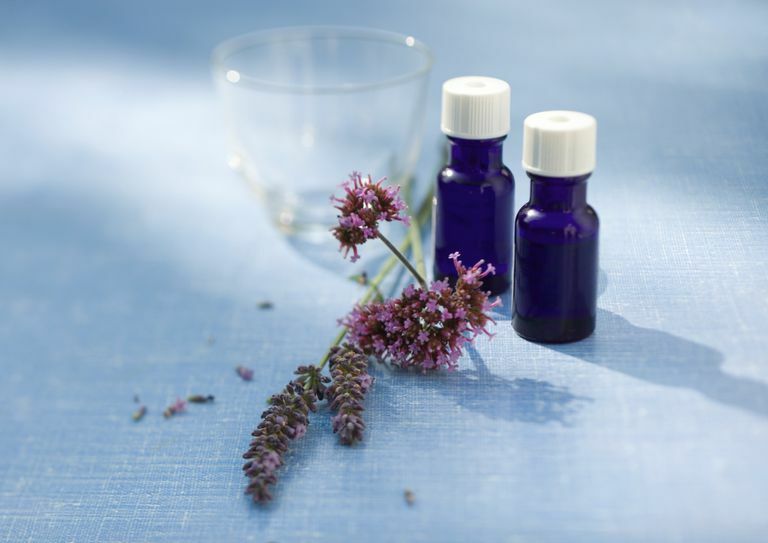 Learn tips on using essential oils safely. While the National Institutes of Health state that the use of personal care products containing lavender oil and/or tea tree oil (such as shampoo, lotion, soap, and facial cleanser) is possibly safe for most adults, such product use may not be appropriate for certain people such as boys who have not yet reached puberty. However, it's quite possible that other ingredients in personal care products (such as parabens and phthalates) may have contributed to the hormonal effects found. Further research is needed. Diaz A, Luque L, Badar Z, Kornic S, Danon M. Prepubertal Gynecomastia and Chronic Lavender Exposure: Report of Three Cases. J Pediatr Endocrinol Metab. 2015 Sep 3.
Henley DV1, Lipson N, Korach KS, Bloch CA. Prepubertal Gynecomastia Linked to Lavender and Tea Tree Oils. N Engl J Med. 2007 Feb 1;356(5):479-85. Myers SL, Yang CZ, Bittner GD, Witt KL, Tice RR, Baird DD. Estrogenic and Anti-Estrogenic Activity of Off-the-Shelf Hair and Skin Care Products. J Expo Sci Environ Epidemiol. 2015 May;25(3):271-7. National Institutes of Health. Lavender: MedlinePlus Supplements. February 2015. National Institutes of Health. Tea Tree Oil: MedlinePlus Supplements. February 2015. Politano VT1, McGinty D, Lewis EM, Hoberman AM, Christian MS, Diener RM, Api AM. Uterotrophic Assay of Percutaneous Lavender Oil in Immature Female Rats. Int J Toxicol. 2013 Mar-Apr;32(2):123-9.